Malaysian Lego fans certainly have something to look forward to come 15 September 2012! In case you haven’t heard, Lego has built its first theme park in Asia. Located in south peninsular Malaysia close to neighboring Singapore, this 76 acre park will sure to attract both local and Singaporean visitors to its gates every year. Billing itself as a “park full of family fun”, the park will have more than 40 rides, shows and attractions spread across 7 thematic sections: The Beginning, Lego City, Miniland, Land of Adventure, Imagination, Lego Kingdom, and Lego Technic. 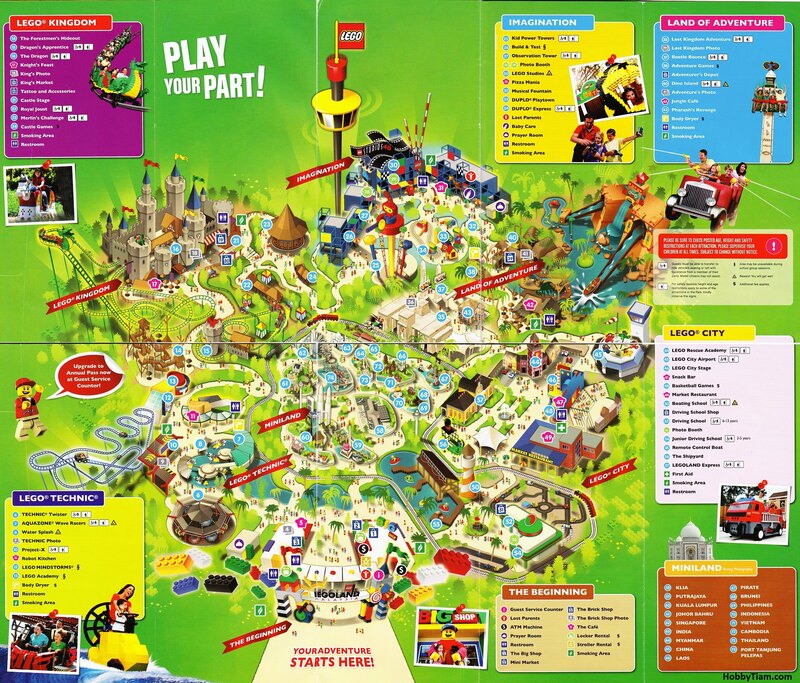 And with 4 days to go to the official opening of Legoland Malaysia, we’ve uploaded a detailed map of what each section has to offer (click on it for a larger image). The Beginning: the colorful entrance to Legoland. This is where your adventure begins! Lego City: the place where children take the controls. More info including pricing can be found at the official Legoland Malaysia website.